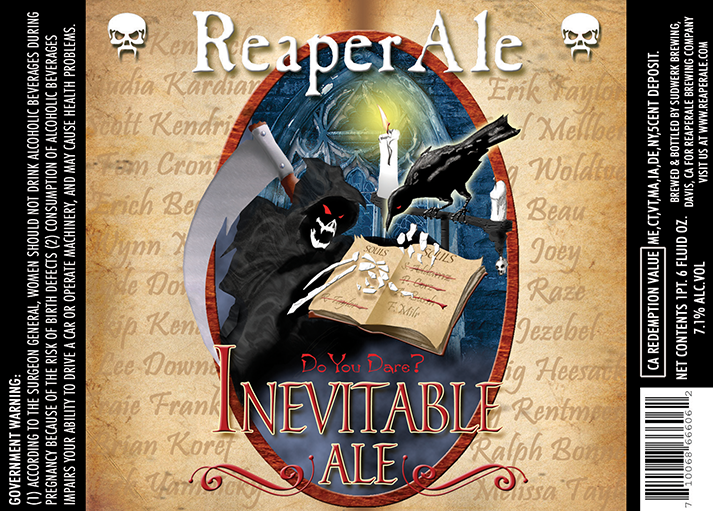 ReaperAle was founded in 2000 by Todd Kendrick and Erik Taylor. 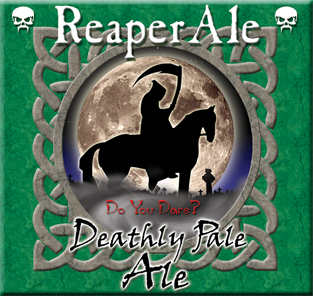 ReaperAle ceased operations in 2010. 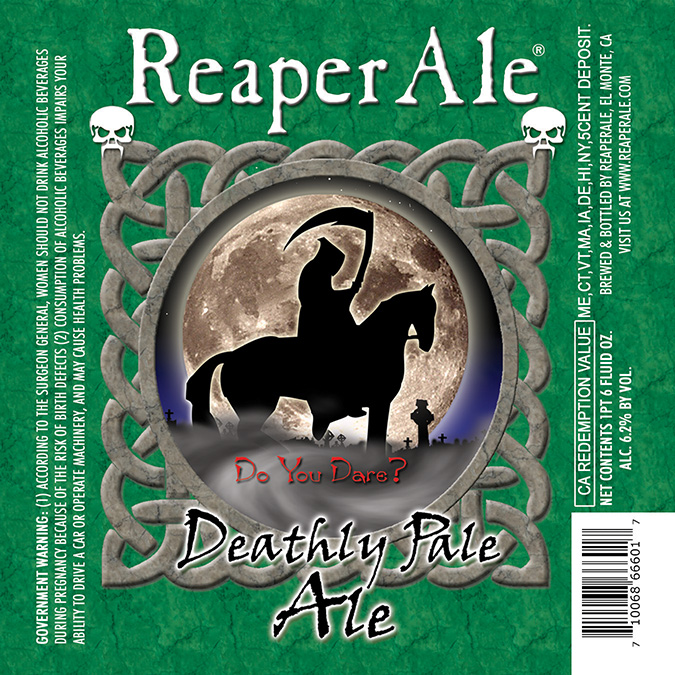 During its ten years of existence, 6 styles of ale were created and distributed nationally. 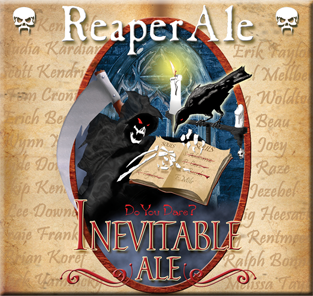 At its peak in 2008 ReaperAle was available in 8 states. Check out our history in pictures. 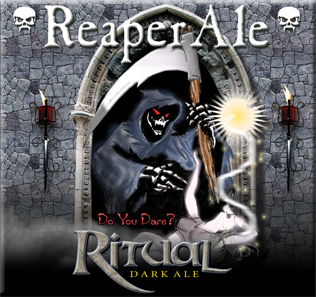 ReaperAle was also featured in this video from 2009. We thank all of our ReaperFans for the support and good times! With a very complex blend of citric fruitiness and floral overtones, this beer has a very pleasing dry hop taste that enhances its already stellar drinkability. A favorite among many whom appreciate the finer Pale Ales. 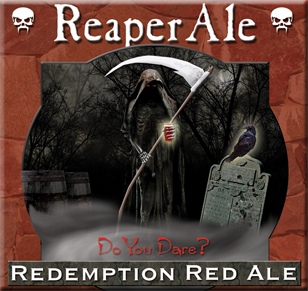 This ale boasts a deep reddish hue, a medium body and is moderately hopped for a crisp floral finish. The subtle hint of spice and pleasing aroma creates a smooth and refreshing drinking experience. 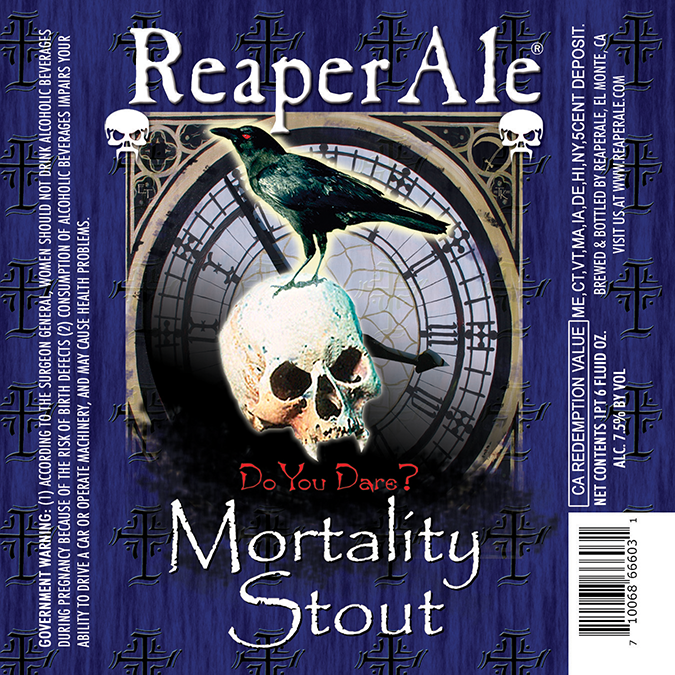 Nearly solid black in color, this is a full-flavored complex brew of dark roasted barley, malt, and a hint of mocha flavor. Once poured, the smoky aroma melds nicely with the creamy head for a beer drinking experience not for the timid. 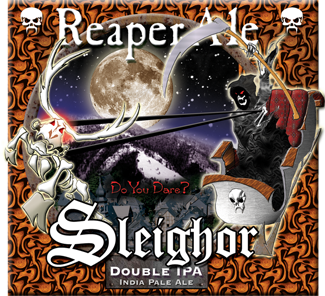 “Sleighor” is an Imperial version of the West Coast-style India Pale Ale. Intense hop bitterness, flavor and aroma dominate. To complement, body is full and malt and alcohol flavors are complex. Presentation is clear copper with a thick tan head coupled with a billowing hop aroma, citrus and floral. 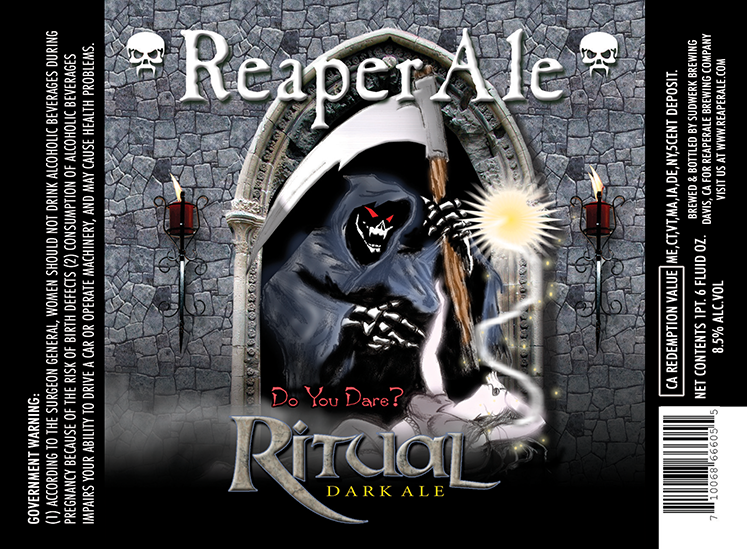 Expose yourself to the darkness that is Ritual Dark Ale. 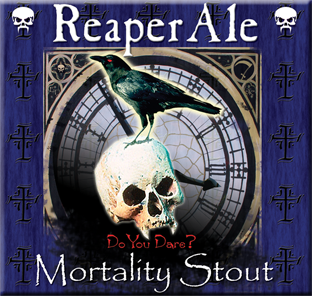 The color of this ale borders on dark brown to black with a translucent ruddy hue. The aroma is brimming with notes of fig, dates and hints of red apple. 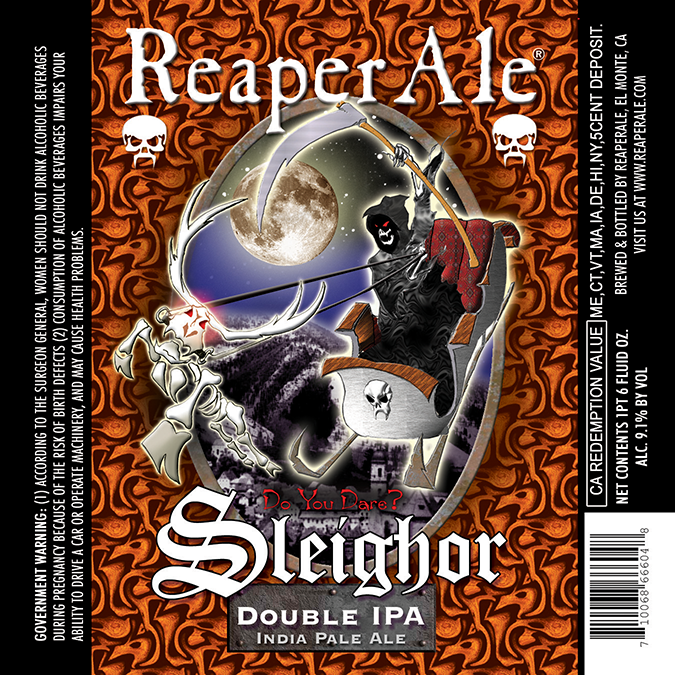 Flavors of toffee mingle with cocoa and a faint hop spiciness. The unique traits of this beer are the pleasingly fruity aromas of apricot and passion fruit that give way to honey flavors, a subtle hint of corn liquor, and a lightly spicy but cleansing hop finish.